In this DVD, Ron focuses on creating a male portrait from the front, three-quarter and profile views while covering the fundamental tools of drawing with traditional media. 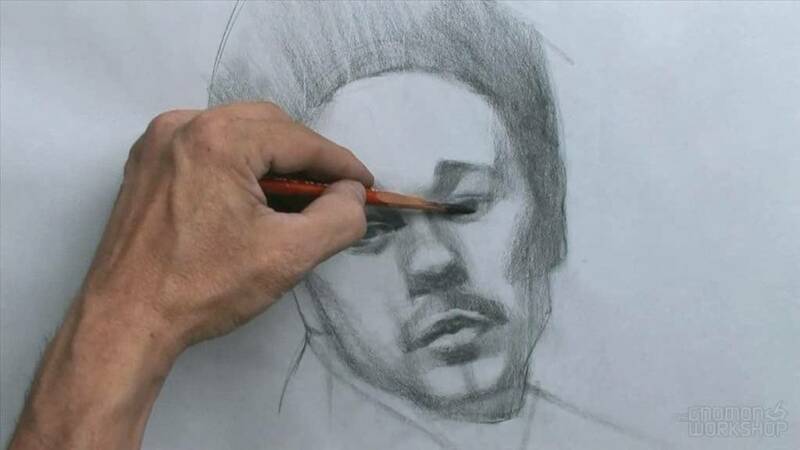 He discusses and demonstrates the features of the head through shape analysis, a breakdown of the Abstraction and Construction Methods, and how and why he uses them. 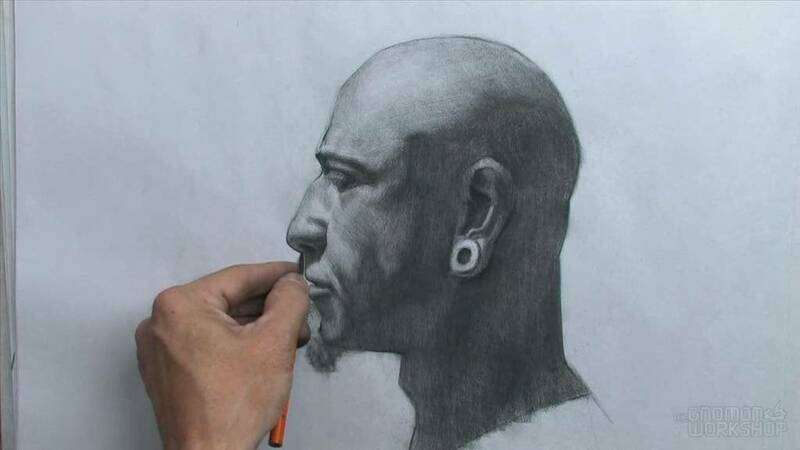 Insight into shading and how to control the tones and lines drawn are also covered. In addition, a few bonus drawings titled “Warm Ups” break away from a step process and develop similar results in a more freeform way. 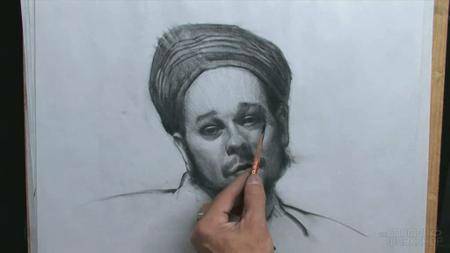 All artists types, from fine art to commercial, will benefit from this demonstration. Ron Lemen. Using his renowned instruction method, Ron systematically breaks down the process, beginning with a discussion on the use of traditional media. The discussion then progresses on to form analysis, feature and shape breakdown, and then final shading. 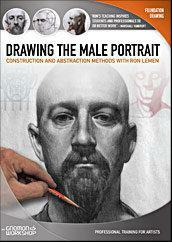 Ron’s ability to communicate, both visually and verbally, the process of constructing a male portrait, will make this DVD a must have for artists of all disciplines and skill levels.